Good Phone. When will this phone get 2.3 Gingerbread update. sony ericsson : ARC, NEO. In neo u'll get video call camera and upgradad processor too. arc is fabulous design. and display. Are they planning to update the firmware soon? andrews, 28 Feb 2011should i need to buy dell streak or not , bcoz im planning to buy depends. I have used one of these in the past week and it is very nice, but large. As with ANY Android, the Exchange active-sync support stinks. If you think you will need Exchange support stay away from Android as none of them do this very well if a all. Also the email client in Andriod does not support HTML so also not a nice thing especially ifyou are used to the nice experience in Iphone email. Fine, it's 1ghz, 480x800, big screen. So what? I am not impressed. Lot of phones have the same config but cheaper. Why not go for galaxy s instead, it even has a front cam for native video calling which I do, and now with the replacement of Amoled and launch of I9003, it's going to be cheaper. $500 USD (excluding tax) price tag for a mediocre phone...Gonna have to think twice about this. Can this phone upgrades OS to Gingerbread? is this phone durable ????? as compared to nokia ??????? Am usng 4 last 24 hrs.. Volume is litl bit poor! Bt d sound quality is gd. Problm is about its batry bk up... Vry vry vry POOR, un4tuntly! :( It cost 29k (Kolkata). I have heard it does not have LED notification for missed calls and messages, is it true? No front camera for Video calling !! What's the point in spending that much .. I've been using a Dell Venue for the last 5 days now and am absolutely thrilled with it. I've moved from a Milestone and find that the venue is fast, smooth and has no Random Restarts (my milestone would re-start about 4 times a day). Great large screen using AMOLED- it gives pretty good visibility in the sun. Software:The Home interface is not very smooth when using Dell Stage UI; however, once I installed Launcher Pro it was just a dream. The gallery takes some time to load and that can be a little irritating. camera quality is great for pics in daytime and even for pics taken at night in good light.Camera not very good in dim light, also there is reflection of the camera flash into the lens due to the back cover of the phone. keyboard: the Swype keyboard takes a little getting used to. I use Swift key and that is pretty easy to use though I wish this had a keyboard like the Venue pro. The best part about this phone is the memory & Speed, I have been installing softwares like crazy and I still have loads n loads of space. 16GB memory card, 1GB ROM & 512 MB RAM. The 1 Ghz Snapdragon ensures that there is almost never any lag and I get to really enjoy using my phone. Battery: seems pretty ok, I'm certainly not charging it as much as I was for my milestone; however, it could still be better. my wife uses an HTC desire and that seems to last longer. Audio Quality: the sound from the phone ear piece is good and clear, i've had no problem on calls. The ringer is nice and loud. the speaker quality is decent though not as good and clear as the milestone and does distort a bit at high volume. Browsing the browsing experience is great and with Flash I have almost no need to pick up my laptop. The only problem I'm facing is with the Facebook application- it doesn't seem to work on Wifi. On the whole: I am thrilled with this phone and really happy that I got rid of my Milestone. Now I only hope the guys at XDA come up with a reliable method to root the thing and then some good Gingerbread Custom ROMs. 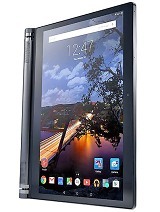 Total of 397 user reviews and opinions for Dell Venue.